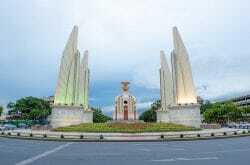 At the Kanchanaburi War Cemetery, you will find the main Prisoner of War cemetery which dates back to victims of Japanese imprisonment during the building of the Burma Railway in Thailand. 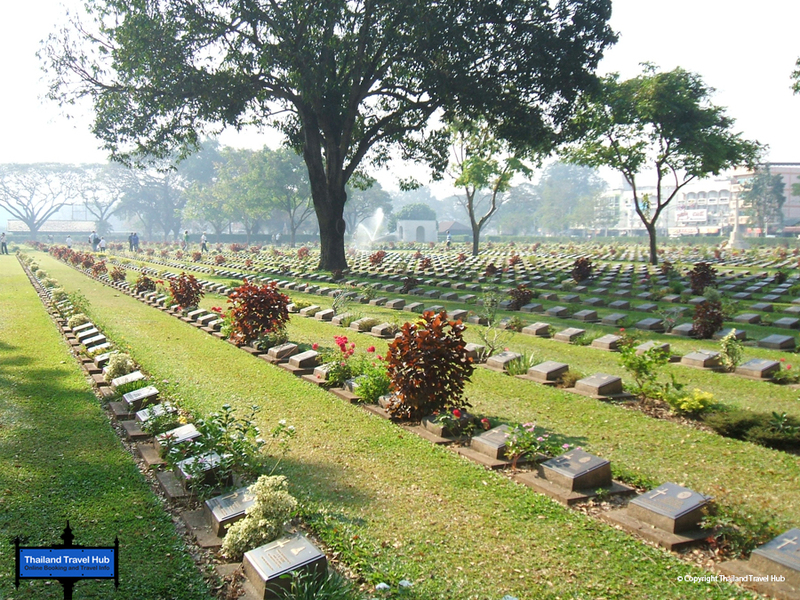 Locally it is called the Don-Rak War Cemetery and is still maintained by the Commonwealth War Graves Commission. Next door is an older Chinese cemetery. 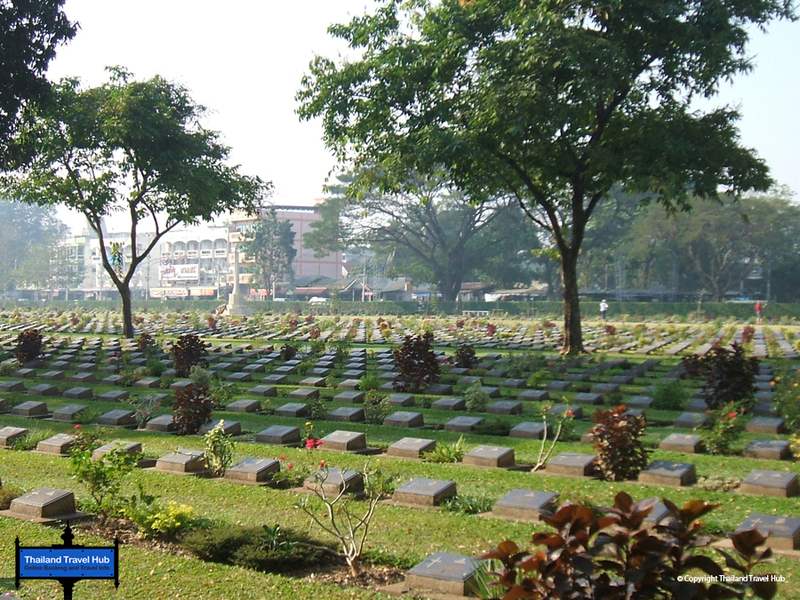 At Kanchanaburi War Cemetery there are approximately 6,900 POWs buried. They came mostly from Australian, British, and Dutch-Japanese backgrounds. Of the total buried, 1,896 were Dutch. American deceased were repatriated, while all the rest lay buried near the south section of the Bangkok to Nieke railway. Two of the graves at the cemetery hold the ashes of 300 cremated POWs. 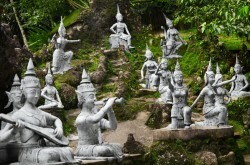 According to the Kanchananburi Memorial, 11 who died here were from India and are now buried in Muslim cemeteries. 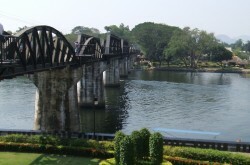 You will find the Thailand-Burma Railway Museum nearby. A tour of this will tell you about the railway and the prisoners who made sure it was built. The striking neo-modern style of building is difficult to miss. It was founded and funded by Australian Rod Beattie. He is also said to be the world’s leading expert on the Thailand-Burma railroad. The museum provides a true memorial along with explanations of how the work was conducted, and the history of the area. There is a pleasant coffee shop to enjoy after your tour. Continue walking on and if you wish, say a prayer for the dead at local Dutch Roman Catholic Church – Beata Mundi Regina. The church was built back in the 1950s to honour the Dutch people who died while building the railroad, also called Death Railway. It was also a convent for Carmelite Capuchin sisters. The church’s Grecian columns are a striking contrast to other local buildings, and beautiful inside.